Do you enjoy meandering through the park in the summer? How about sitting on the porch with a cup of cider in the fall? Cuddling by the fire to keep away the winter blues? I love all of these things too and would be the perfect girl to join you! I’m Coco and at 8 years young I’ve got a soul as sweet as sugar and a spirit bright as sunshine. I’m wonderful with other dogs, and lovely with kids. I am best in a home without cats. 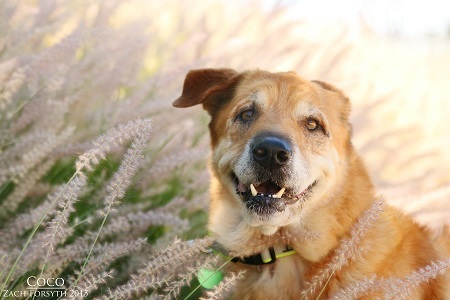 Are you ready to give this golden girl the life she deserves? Fill out an adoption application so we can schedule a meet and greet. I am fixed, vaccinated and microchipped. My adoption fee is $150.